"Best Product On The Market On How To Naturally Raise Your Testosterone Levels"
Practical advice that is based on proven scientific data. Focuses on fixing the problem, not just treating the symptoms. Following this program has a number of benefits beyond just increasing your testosterone. A lot of dense, scientific explanations that will go over most people's heads. Slightly conflicting advice between the main book and a bonus book. This is an excellent resource that will likely benefit every man who reads it. Optimizing your hormone levels will have a positive impact on your success with women, as well as the overall quality of your life. We highly recommend you check this out. This isn't about a quick fix though, and you need to be prepared to put in the work if you want to get the results. Depending on what your current exercise and nutrition habits are like, you may have to make some major changes. But in the long run this is easier to stick to than a lot of other programs that focus solely on body composition. You have the option of purchasing a $79 version of this product or the full product for $99. I'd strongly suggest getting the $99 one, as it has a lot more information and a blueprint that makes up a large component of the program you'll need to undertake. This review is based on having read the full product, and the cheaper version would receive a lower rating. 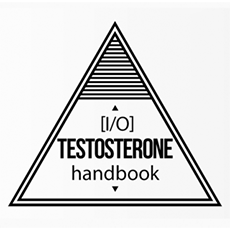 This is the original program that Christopher Walker released detailing how he took his testosterone levels from abnormally low (due to a brain tumor) to incredibly high. It's based on hard scientific facts as well as his own personal experience, which is always a great combination. The advice that's given here is really solid and will work for any man who puts in the effort to stick to the program. In early 2015 Walker updated and rebranded this course as TestShock, so click here to check out our review of it.